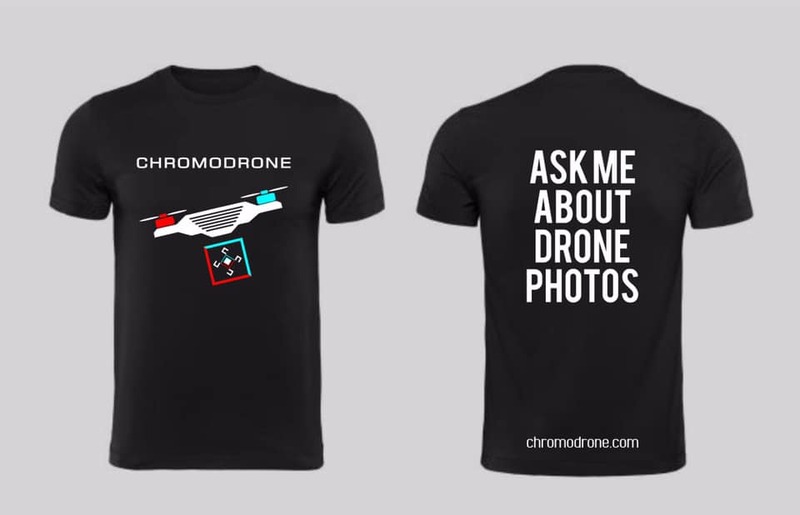 Meet Chromodrone, a team of two commercial drone pilots based out of Jacksonville, Florida. In this post, we ask John Hadden and Chris Wingeier about how they started their own drone business. This post is an insightful look into what it takes to start your own drone business. What first brought you to the world of drones? J: In the beginning, drones weren’t even an option floating around (pun intended). Chris and I both had decided that we wanted better for ourselves and better for society, and we went about brainstorming ways we could make those differences. A few months, many phone calls, and a 6 hour lunch at Tampa’s best Bratwurst joint and Chromodrone was born. C: Earth’s land that we are able to walk on is 196.9 million miles, calculated using two directions. Earth’s airspace from the land up to the height of jetliners is 2 billion miles, calculated using three directions. There’s so much potential up there. Also, I’m attracted to drones because technology is awesome. How was the process of getting licensed and insured? Any tips for beginners? J: First of all, everyone needs a varying degree of practice with flying a drone. 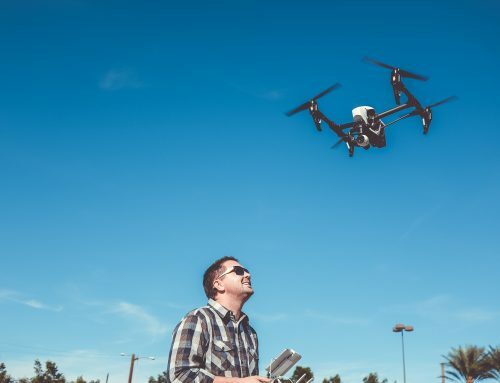 There are hobbyist rules that don’t necessarily require you need a license, so it’s worth practicing under those rules before you go take your license test thinking you’ll be a good drone pilot because you’re licensed. Chris and I both had a fine time passing our 107 certification and becoming licensed—we were both great academically during our college tenure. 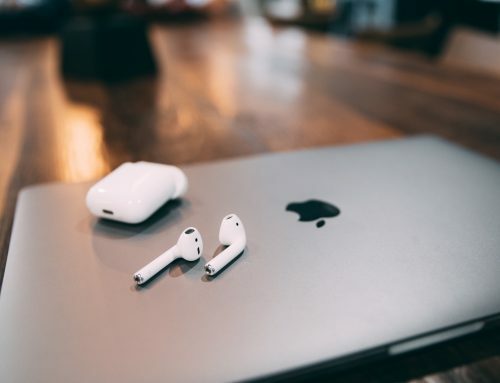 Insured was slightly more difficult because not all companies are up with the times on changing technologies, but once we found a provider, things were affordable and convenient! C: Although the entire part 107 process was a bit tedious, studying for the certification was fun. Other than using the FAA’s study materials, I recommend repeatedly taking the many nonofficial practice tests found online until you’re consistently scoring well. The Remote Pilot study guide is tough so don’t beat yourself up over it. I read it thoroughly once and made some notes, then went back to where I had problems for a second reading. Tell us about the inception of Chromodrone. How did you guys start it? Whats the vision? J: Back to that 6 hour lunch meeting….Chris came up with the original idea. At the time it was simply “drones!” with hands waving in the air and neither of us had really conceptualized what to do with a drone company now, let alone in 20 or 30 years. From there we started fleshing out what technologies were already available and what equipment we could develop once our company reaches a certain point and how those ideas could better humanity. We’re well on our way to becoming “THE drone guys” that everyone recognizes the way that people know Apple, Google, etc. C: It started with a drone. John flew it a lot, and I flew it a ton. 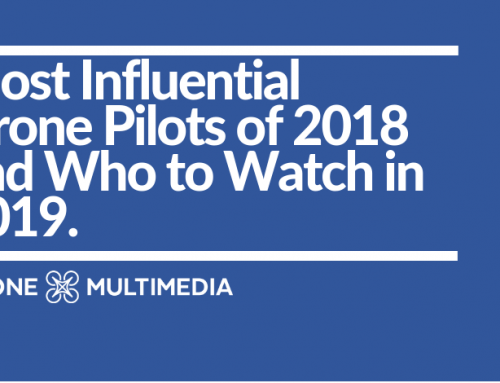 I watched a ton of drone videos on Instagram. I envision becoming “THE drone guys” in a very broad sense, because I don’t think we’re at even the beginning of realizing how we can and will use drones. Soon, they’ll be buzzing around indoors, serving food to tables and changing light bulbs. They’ll be what we used to think of as jetpacks for humans. They’ll provide us oxygen on Mars. What have been some of your biggest challenges in starting your own real estate photography business? J: For one, realtors have personal connections that are hard to break, no matter how much business sense it makes. We get that and try not to pester, but at the end of the day working with Chromodrone will get you your materials quicker and for a fraction of the price. We’re a consumer-focused model, not an inwardly-focused one. 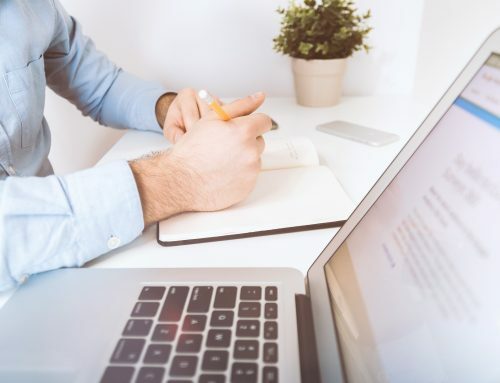 What that means is we impress and retain clients by providing the highest-quality custom work, at the most fair price, regardless of how much more our competitors charge. What type of gear are you using? 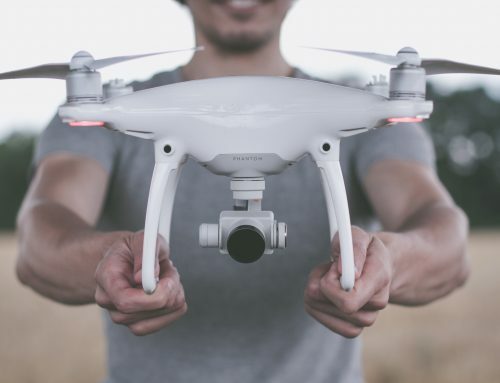 J and C: As most drone hobbyists or commercial pilots know, the Phantom 4 Pro is such a workhorse when it comes to simple photography and video work. We’ve obtained several of those over the year we’ve been in business. The next step up from the Phantoms is the DJI Inspire 2. Equipped with the Zenmuse X7 camera, this drone is everything you love about the Phantom for photography with more stability, slightly crisper imaging, prolonged flight time, and more. You can’t go wrong with DJI products for almost all commercial drone work. Have you had a hard time finding business? What are your main channels for finding business in your area? Fb ads? Cold Call? SEO? J: It’s really a combination of all of the above. We’ve gotten calls through word of mouth recommendations, cold calling, even Instagram gets us real-life work. It’s all about showing your style in whatever way you can. We are as up front as possible in everything that makes Chromodrone what it is; that means we publish real work, not just an overproduced version of something to draw in customers who then don’t get what they expect. We’re also 100% up front with our pricing, compared to some of our colleagues who always have a custom price model. Who wants Google to charge a “custom rate” for every search? No one. With Chromodrone, you know exactly what you’ll pay before you even pick up the phone. C: It hasn’t been easy. I see why many potential entrepreneurs give up. Most business has come from where we have least expected it. It’s a process of constant learning and hard work; do that in a transparent manner and people will trust you. J: Well as I stated above, our forwardness with the product and price is one of the bigger elements that sets us apart. Think of the biggest businesses on the planet. How many of them have a pricing model that says “contact us for pricing!”? Hardly any—that’s your answer. We are as consumer-focused as possible, creating work by opening up these services to new customers who previously thought that professional photography—especially drone photography—was either too inconvenient or too expsense. C: We listen more than we speak. Our photos and videos are really good, and rather unlike what other people are creating. Have you ever used sites like dronedeploy to find work? Has it worked for you? J: No we haven’t. We absolutely believe in partnering with the right people and organizations, however, our vision is to be our own company, and the one that the world looks too when they think of drone services. There are obviously arguments for using resources like dronedeploy, however, we feel strongly enough about being in charge of our own business and destiny where we avoid middlemen as much as possible. C: We’re first focusing on shaking as many hands as possible in Jacksonville, Florida. How do you deliver your finished product to your clients? How do you educate your clients on your services? J: Anyone that’s ever taken an honors college or advanced placement course in school knows the immense learning power that a discussion has as opposed to a lecture. We try not to throw a bunch of facts at our partners. Instead, we choose to ask what their needs and expectations are and let them know how we can fulfill them. Some people want to know about our camera resolution and the ascent speed of one of our drones, but most just want to make sure that they get great work at a fair price. Lunch meetings are one of our favorite ways to meet and discuss what clients are looking for, so if you’re a realtor or event person in the Southeast, give us a call for lunch on us! C: Beyond clients (as explained above by John), we’re talking to everyone about drones. I haven’t been spotted in the last couple of months outside of a Chromodrone shirt which reads “ASK ME ABOUT DRONE PHOTOS” on the back. I’m asking the friendly cashier if he’s ever flown a drone. While I’m flying a drone, I’m showing my screen (what the drone sees) to interested passerbys and sometimes even landing it for longer conversations (after, of course, I finish capturing the shot 🙂 ). 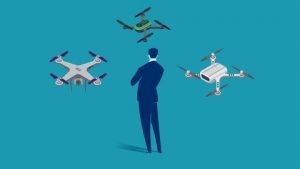 What’s your outlook on the drone industry as a whole? J: It will be nice when the technology is so ridiculously efficient and safe that agencies like the FAA and local authorities don’t hold back what is already extremely low-risk and useful . There are thousands of commercial drones in the sky every day, but how many times have you heard that one came down and harmed someone? Yet, everyday there are countless car accidents and fatalities. I’d say that drones have proven themselves and it’s time for governments to keep up with the times. Aside from that point, it’s clear that the future of humanity is technology on all fronts. Eventually, AI and intelligent machinery (robots) will increase the productivity of everything humanity does and provide more leisure time. Some of this technology will no doubt be aerial in nature, relating to what we think of today as drones. We know that the possibilities are endless in all technology sectors, and we hope to be the ones leading the way in future drone capabilities as we create new hardware and software. C: I did manual labor for a tree service and heard stories of people falling from trees while trying to earn a paycheck. My uncle was an electrical power lineman for decades; that’s a terrifying job. Drones may be used for good. Drones may be used for bad. Let’s decide how to use them for good and have conversations about how we’re doing along the way. What do you use for post-production? J and C: The full Adobe suite is so incredibly useful. We have a PC build and stay away from some of the programs that are typically recommended as more Mac-friendly. Overall, the interconnectivity of the suite providing all of the different programs we use (Premiere Pro, Photoshop, Lightroom, etc.) is the big draw factor for us. The price is a small one to pay for the convenience of the software when we’re spending many hours a week in a chair working with the material that we capture in the field. Any tips for someone starting out as a full time drone pilot? J: Plenty of tips! Too many to share here but I’m always open to a conversation through email or any of our various digital platforms. The one thing I will say is that it’s not always as “easy” as it looks. Sure most of it is fun, but it’s harder than it looks to get a good shot. There is a multitude of minute details that can set a professional 10-second video clip apart from an amateur shot from someone that spend $2k on a drone. Don’t be fooled into thinking the technology will do the job for you. The technology (hardware and software) is simply not developed to that point…yet. C: Learn as much as you can. Fly as much as you can. Be responsible.